Hot off the heels of ‘album of the decade’ and ‘sporting icon of the decade’, it’s the latest CJS newsroom blog war. This time – team of the decade. We have limited it to players from the Premier League, to stop all hell breaking loose when Alex Smith tries to put Alvaro Recoba on BOTH wings. Of course it was still a tough choice, but I feel all the players I have chosen deserve their place in my starting XI. When Brad Friedel left Liverpool in 2000, after being frozen out of the first team by Sander Westerveld, few would have predicted he would become the Premier League star he is now. But a move to Blackburn kickstarted the career of the former UCLA student, who up to that point had played for four different clubs in four different countries, none for more than three years. 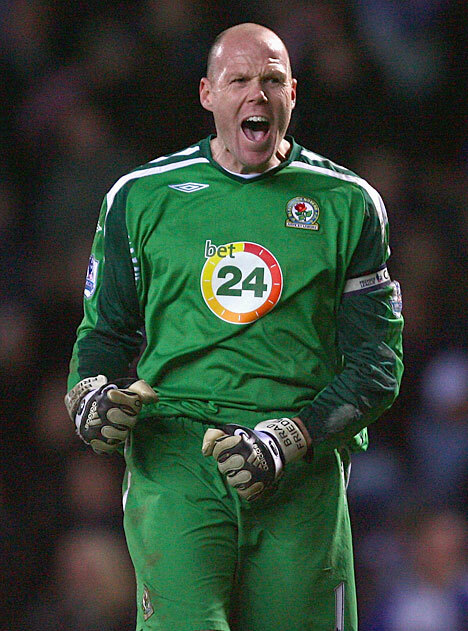 Friedel spend eight years at Ewood Park, helping the club to a League Cup victory in 2002 and establishing the Lancashire outfit as a mainstay of the Premier League. He even managed to get his name on the scoresheet against Charlton the following season, emulating the incomparable Peter Schmeichel. At the age of 38, the former American international is still going strong. Now plying his trade at Aston Villa, he will surely he hoping to keep going at the top level beyond his 40th birthday. 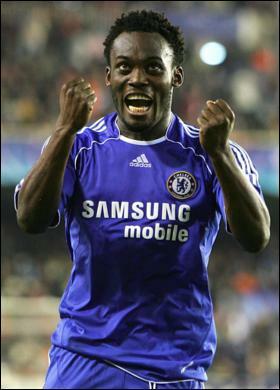 I know what you’re thinking, Michael Essien isn’t a right back. Well he’s played there a few times and – more to the point – this is my team and I’ll put players where I like. Essien made his name in the indomitable Lyon midfield of the early 2000s, where he played alongside Mahamadou Diarra, Juninho and Florent Malouda, while also helping the exciting Ghana team of 2006 to the second round of the World Cup. But it is at Chelsea where he has really come into his own. A few eyebrows were raised when Jose Mourinho paid £24m to bring him to Stamford Bridge, but all fears were soon dispelled by a number of stirring performances, both at right-back and in the centre of midfield. And he clarified his status as one of the best players in the league with a starring role in last year’s Champions League semi-final against Barcelona, where his team suffered the harshest of defeats. There can surely be no doubt about my next pick. Rio Ferdinand has been idolised as one of the best defenders in the Premier League since a young age. He had only just turned 22 when Leeds United forked out £18m to prise him from West Ham United in 2000. Say what you like about Peter Ridsdale’s spending spree at Elland Road, that amount of money shows that the England international was (and still is) one of the best in the game. His tremendous reading of the game, and the ball-playing skills honed in his early days as a midfielder at Upton Park, helped make Ferdinand a key component of Leeds’ Champions League run of 2002. And he has gone from strength to strength since joining Manchester United for a then-British record £29m, adding deserved domestic and European honours to his copybook. He now sits head and shoulders above many of the world’s defenders. 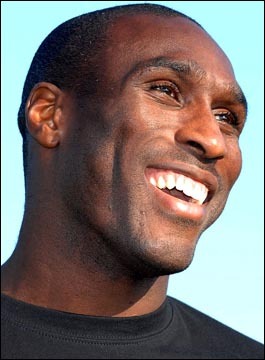 Try to ignore the recent Notts County debacle, and the Upton Park disappearance fiasco, Sol Campbell has achieved things many could only dream of. And it is testament to his ability that the 35-year-old Londoner has managed to bounce back from all the setbacks in his career, when a lesser man would have perhaps cracked much sooner. You need to be made of stern stuff to deal with the backlash suffered by Campbell when he left Tottenham to join their rivals Arsenal, but he passed the test with flying colours, becoming an integral member of the ‘invincibles’ of 2004. And after leaving The Emirates Stadium to join Harry Redknapp’s Portsmouth revolution in 2006, he helped his new side establish themselves in the top flight. The level to which they have struggled since his departure shows how important a player he still is. 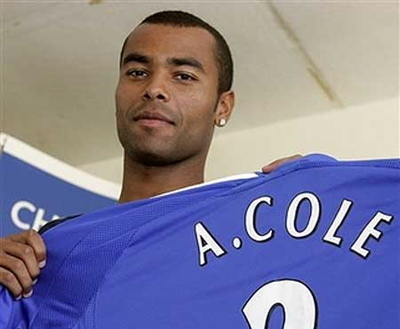 I hate Ashley Cole. From the fuss he made at being offered ‘only’ £55,000 a week by Arsenal, to the borderline assault he launched on referee Mike Riley after a dangerous studs-up challenge on Alan Hutton in 2007 (skip to about 1:20 on this video). But aside from this behaviour, there is no doubting Cole’s quality on the pitch. After being sent out on loan to Crystal Palace, there were fears that the Stepney-born defender would never realise his dream of playing at Highbury. But since then he has never looked back, revolutionising the left-back role and consolidating his position in the England national side. Who would have thought that an outlay of £12.24 million on an 18 year old would prove to be one of Sir Alex Ferguson’s finest purchases at Manchester United. After taking some time to find his feet in English football, netting only 15 times in his first 90 games, the Madeiran superstar proved his worth – and then some. 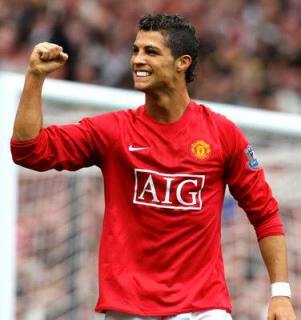 For the best part of two seasons he was nigh-on unplayable, with his 31 goals in 34 league games during the 2007/8 season only telling part of the story. He left Old Trafford this summer on an unprecedented high, and the pressure following the £80 million paid by Real Madrid to take him to the Bernabeu has proved no obstacle. 12 goals in his first 11 games in Spain merely solidify position as one of the world’s greatest for years to come. 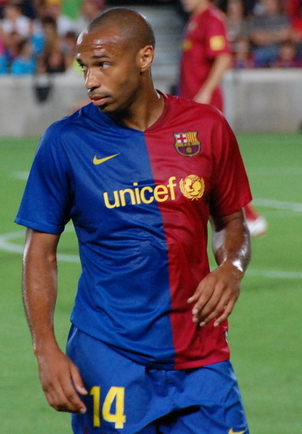 Throughout the Premier League’s existence there have been a number of foreign players who performed as though the league was designed for them. Patrick Vieira is one of these players, alongside the likes of Mikel Arteta and Juninho Paulista, who have failed to hit the same heights outside English football. Vieira was the only foreign player in the first Arsenal line-up picked by Arsene Wenger, and his name has since been synonymous with the blend of passing and athleticism which has characterised Wenger’s side. Even in his absence, fans of the London club complain that he hasn’t been properly replaced, and their failure to win a single trophy since his departure is testament to the influence their former captain provided on and off the field. The second central midfield position was a real struggle for me. Scholes has had a real second wind since retiring from international football in 2004, proving an integral part of the Manchester United side in their three league title wins from 2007-9. 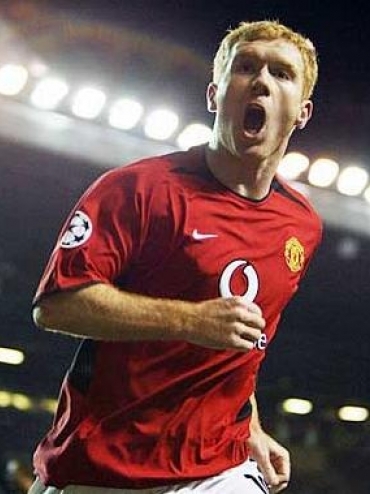 And, while others (notably a certain Mr Ronaldo) have perhaps got carried away with their ability and success, Scholes has largely remained the model professional, going about his business quietly while peers bask in their undeserved spotlight. ‘Where’s Ryan Giggs?’ I hear you cry. 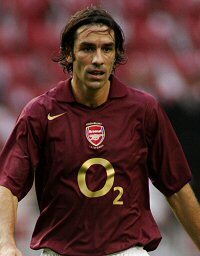 Well I’m going to stick my neck out and say that ‘Bobby’ Pires was the best left-winger of the 2000s. Despite Giggs being honoured as 2009 Player of the Year and Sports Personality of the Year, I will maintain that the 90s was the Welshman’s decade. Pires, on the other hand, was an integral part of Arsenal’s ‘invincibles’ (and I’m not just talking about the dive which kept their unbeaten run going). Another who was unplayable on his day, the Reims native had a combination of flair, skill and pace which complemented his team-mates perfectly and helped Arsenal to several trophies, all won playing beautiful football. I know it’s difficult, but try to look past that handball. Just try. 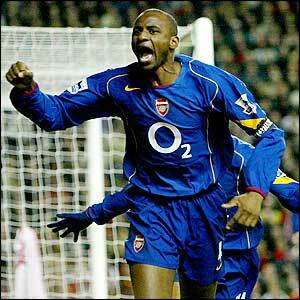 Remember Thierry Henry for his time at Arsenal instead. The goalscoring record speaks for itself, but unlike his peers and predecessors Shearer and Hasselbaink, so many of the Frenchman’s goals were masterpieces. As a West Ham fan it pains me to show this goal, but I have to let you see it to demonstrate the things this wonderful player was capable off, even when there seemed to be nothing on. And since Henry’s departure even the enviable abilities of messrs Van Persie and Arshavin have failed to fill the gap left by this modern great. This week, football fans across England were sad to see the premature retirement of Dean Ashton. It seems only fitting, therefore, that my final pick is a man who could have achieved so much more were it not for a succession of injuries. That said, Ruud van Nistelrooy still did enough to justify his tag as one of the most feared strikers in world football for a number of years. After recovering from serious injuries during his time at PSV Eindhoven which limited him to 67 appearances in three years (during which time he notched a remarkable 62 goals), the Dutchman joined Manchester United in 2001 and never looked back. 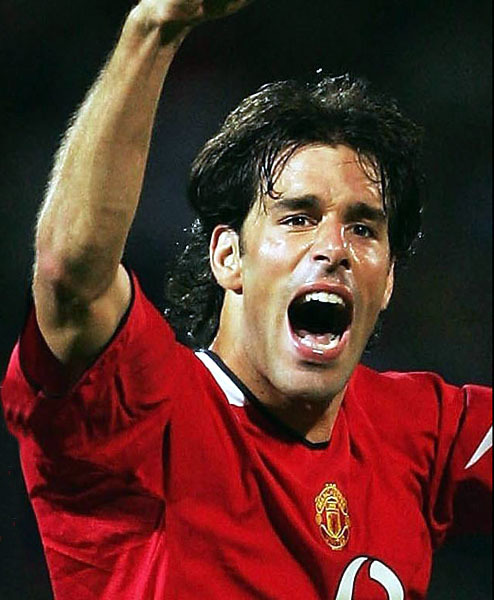 The epitome of the old-fashioned number 9, van Nistelrooy used a combination of strength and guile to leave Old Trafford with four trophies and a record of nearly two goals every three games. Since moving to Real Madrid he has proved he still has the quality to perform at the top level, even if his fitness has held him back in the last couple of years. So, there you go, that is my team of the decade. I’m sure you will disagree with some of my choices, but it’s a tough one to call. Please get involved in the debate. Ciaran Jones and Joe Curtis have already done so – let me know why my team is better than theirs!